Christmas is knocking at the door and by now you must have started preparing for the festivities. Christmas brings people together. It is the best time to renew contacts with friends, throw a great party or just revive good old memories. Most people look forward to fun events and parties every once in a while. Christmas parties, in particular, provide a scope for interaction, fun and excitement. Though Christmas parties are meant to be casual, a lot of planning goes into making them a success. Christmas is incomplete without mouth-watering delicacies. Also, guests tend to lose interest in the party if the food is not interesting. Thus, you need to focus on serving good food, drinks and refreshments. By preparing in advance, you can choose from different options. Theme parties never go out of fashion. Moreover, such parties get everyone involved. However, you should avoid a predictable theme for the event. Just put on your thinking caps and find a wacky theme for the Christmas party. It's always good to dress-up during the party, but always make sure that what you are wearing is comfortable. This way you can join in the games and other fun things. For your little girls, you can check out affordable and comfortable girls holiday dresses at Elitedresses.com. All of their dresses are functional and affordable. From First Communion Dresses to Girls Pageant Dresses, they are all beautiful, functional, and surprisingly affordable. To set the mood for the party, include fun games for the adults and kids. The games should get everyone involved. Interesting games appeal to everyone. Can you imagine a party without music? Good music sets the mood for the party; so get a playlist of songs suited for the evening. But please make sure that the music is not too loud to cause discomfort. Christmas is also about sharing and merrymaking. Don’t forget to keep simple yet memorable gifts for the guests. They will appreciate this gesture and remember the event for many years to come. With these tips, you can make your Christmas event an unforgettable experience for your guests! Hey Guys! 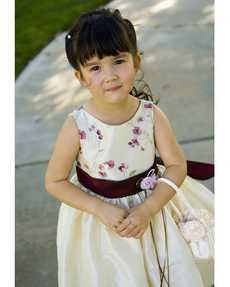 We have a new style in store that can be a perfect flower girl dress. This beautiful Ivory taffeta sleeveless dress will surely look good on your little angels and will definitely make them look adorable. This can also be a perfect Christmas gift for your wee princess. It is so functional they can wear it as a girls party dress, girls holiday dress, or a girls christmas dress. We receive Jesus Christ and our faith through the First Holy Communion that is why a First Communion Gift should be something special and should remind us about our faith. Here are some of the gifts that I believe is best for the Holy Communion. A Holy Rosary have a center medal with a Host and ciborium depicted. The cross, beads, and medal are all connected by chains so make sure that the Rosary for the child is sturdy. You can also go to any priest for the Rosary's Dominican blessing. This holy gift will definitely remind your child her faith and will make her closer to God. First Communion Dresses as a gift can be very thoughtful. 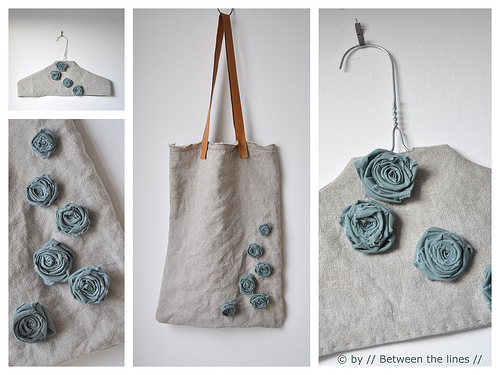 Choose one that is modest, comfortable, and one that you can use to any other occasion. 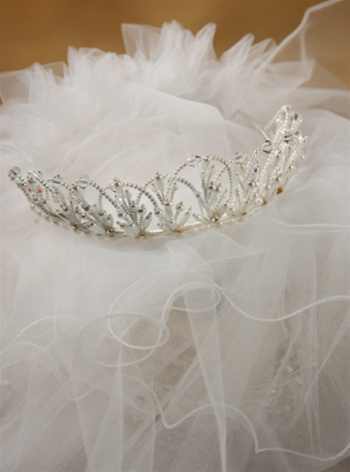 Tulle, tiered, or laced are great and girls will surely love because it will also make them look like a princess. 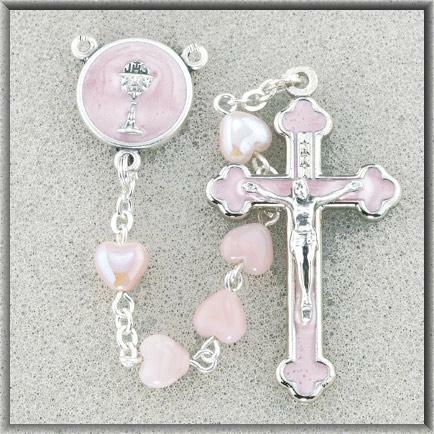 A necklace or a bracelet with crucifix as a charm is also a great gift for the First Holy Communion. Embellish it with beads or add more charms to the bracelet to make it look really pretty. Your little girl will love it so much she will wear it everyday. If you'll be giving First Communion Dresses as a gift, a First Communion Veil will be a good pair to it. The one with tiara can also make the little girl look like a princess. 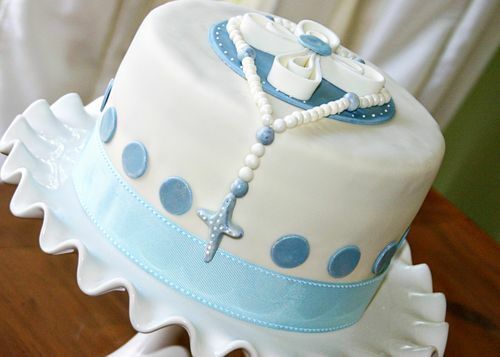 And what is the best way to celebrate your child's Holy Communion! With a yummy cake of course! Make sure to take a photo of the cake before you let the kids eat so that you'll always remember what it looks like. Decorating this Christmas is a fun task for family to do together. But Christmas decorating can also be expensive. With all the gifts and girls holiday dresses you need to buy for Christmas, you might not have enough money to buy great decorations. But fret not! You can still have a great christmas decoration without spending too much. Just get pretty craft papers and make your own decoration. 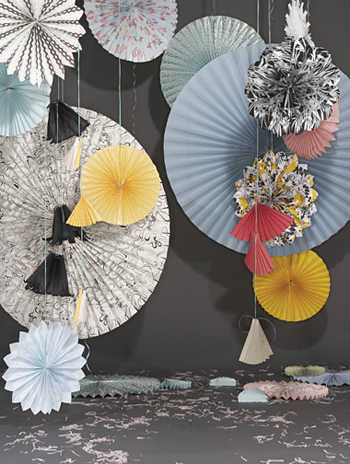 Here are some ideas for Christmas decoration: A paper fan that you can hang on the ceiling is always affordable and nice. Just choose the material that will fit the Christmas theme. To create your fan shape lay your paper flat and begin to fold width-ways backwards and forwards in equal 2-3cm sections ( depending on size). Next fold in half and crease along the center line, unfold and tie string with a tight knot to secure. Allow enough string to hang and snip off extra end. Open up fan and staple side to side. Now have your fan why not try making a few in different colours, they look great together! Firstly decide on your colour scheme and where you want each colour. You will use the width of a whole sheet of A1 paper as the background rosette ring, adding different coloured rings to build the design. Lay both sheets of the A1 paper one over the top of the other and fold them together into a fan shape. To do this fold the papers back and forward in roughly 6cm widths, making sure to create crisp folds.Once both papers are fully folded, separate them and trim both the ends into petal shapes. Cut one of the pieces of paper about 10cm shorter either side so it has space around it when forming the middle rosette ring. Combine them once again and place them exactly in their folds, making sure the centre piece is in the middle. To add the crepe paper, cut a length about 1/2 the width of the A1 background sheet. Place this centrally following the folds of the paper, working your way from one end to the other using your fingers to place in the creases. Cut away any extra length. When all the papers are lined up correctly fold the fan in half to find the central point. Wrap the wire around in a loop securing tightly. Unfold your rosette and secure each end by stapling. From the extra paper, cut out a circle and glue to the center of the rosette. Use the wire to attach a ribbon and hang at your desired location. Christmas Season is the time when we get a lot of money from bonuses and cash gifts and its is also the time we spend a lot on supersale from here and there. We spend a lot during Christmas season most of us ends not having enough money to start the new year. So here are 5 sure ways to save some money for the new year ahead. A lot of shops lower their prices before Christmas so it is the best time to buy Christmas presents or Christmas dresses. It will also save you a lot of money because it will keep you away from impulse buying. Shopping during Christmas season can be stressful so you wont have time and energy to be picky and most often just choose whatever looks good even if the price is high. Also, the supply and demand is at peak during the Holidays. You can check out Elitedresses.com for early Christmas shopping of Girls Christmas Dresses. They have a lot of wonderful dresses that are on sale. Your time and talent is the best gift you can give. Bring out the inner artist and you and get crafty. Make some handmade cards, candles, beaded items to give away fro Christmas. I'm sure it will be so much appreciated and you didn't even have to spend a dime. 3. Make a Budget-I know it's not that easy...to follow it, that is. But think of what you'll have left and what you can have after the Holiday can help you stick on your Budget. Always have your budget list with you whenever you go out to shop. Paying with ash or debit will save you from future interest. You might be saving now but will end up buried with interest payables in the future. 5. Save money when you can. Make sure that you shop for sales and you don't have to buy the most expensive items. Enjoy the Christmas Holidays but don't forget that there will be New Year ahead. I think it is more exciting to plan for the New Year. Start the year right and forget about the bad decisions and past you made this year.